Today has been really tough. Sue would have been 60 today. She missed it by 2 days. We would joke about it because we are the same age then for 10 days. This year (and all the years I have to come) it is not to be. Happy Birthday darling. I know you are safe with Jesus. I’ll be joining you soon. I can thank God for her. 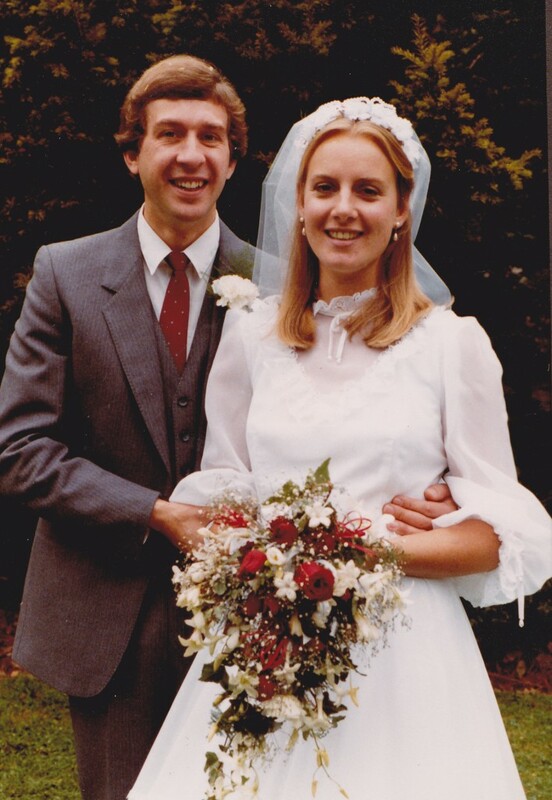 Wedding Anniversary Today – 32 Years. Thank you Lord for my Wife. 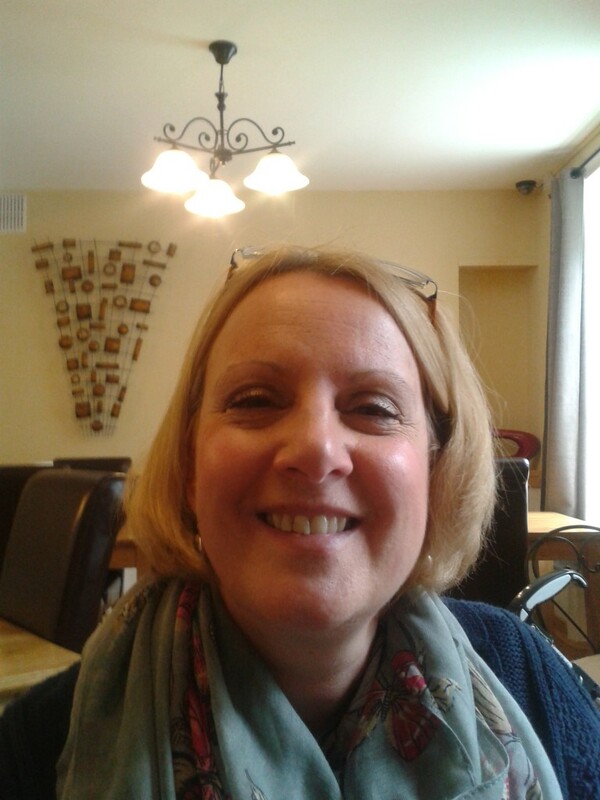 Sue is the most wonderful woman I have ever know. She truly is an amazing person – a true gift from The Lord. I love her. Genesis 2:24; Proverbs 18:22; Proverbs 31:10; Ephesians 5: 31-32. 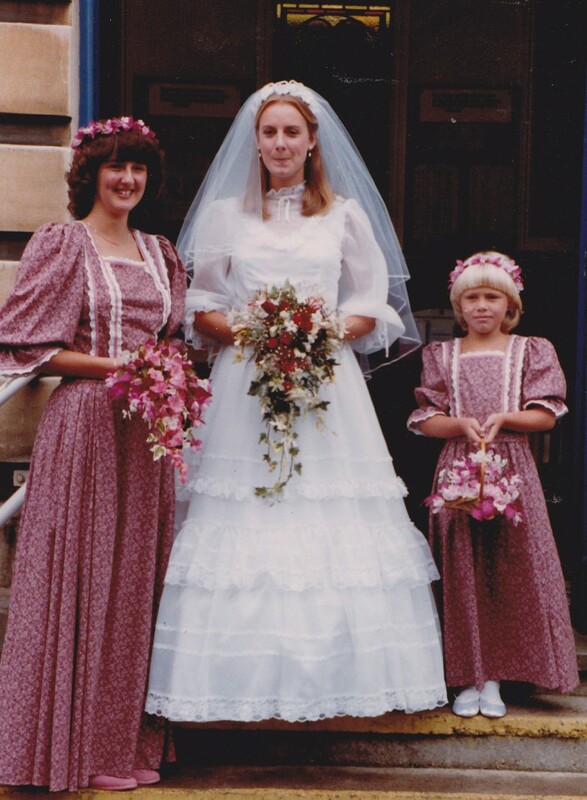 Our daughter scanned some of the ‘official’ Wedding Pictures from 1st October 1983 – here’s two of them. I love that face. 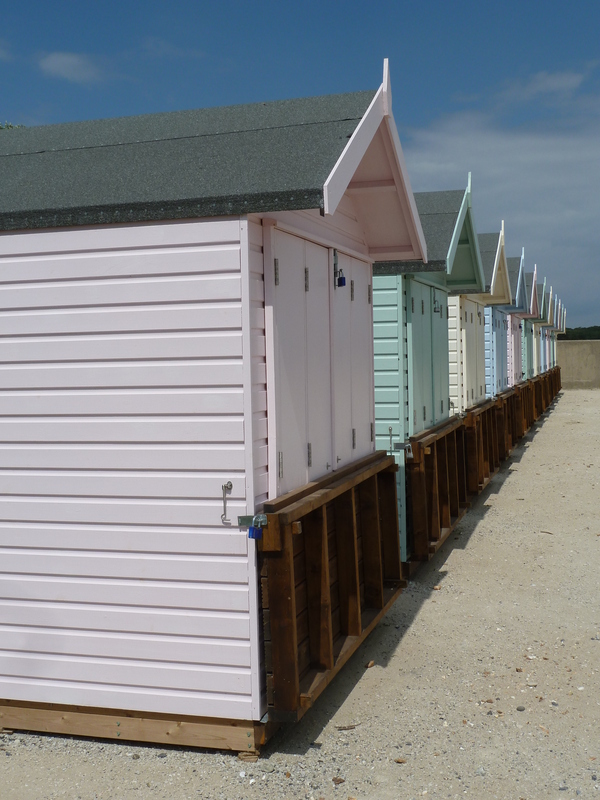 Mudeford – Order is everywhere! Took this photo at Mudeford beach on the South Coast a few days ago. I really like it. Everyone likes it that I’ve shown it to. Why? I think it’s because we are naturally attracted to order. There is order everywhere you look. There is order everywhere because God has made it to be so. This is an example of how presuppositionalists view evidence. Everything points to God! 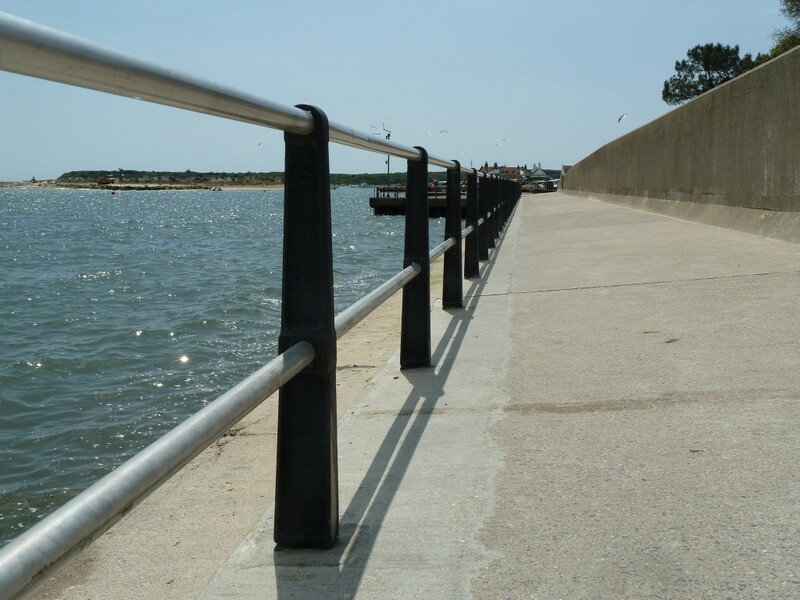 We have been visiting the Lymington & Milford-on-Sea area for years but for some reason have never been to Mudeford Quay. We have been many times to the beach – a short walk along from the Quay. Just missed it I guess. Looking towards the Quay – Beach huts behind me. 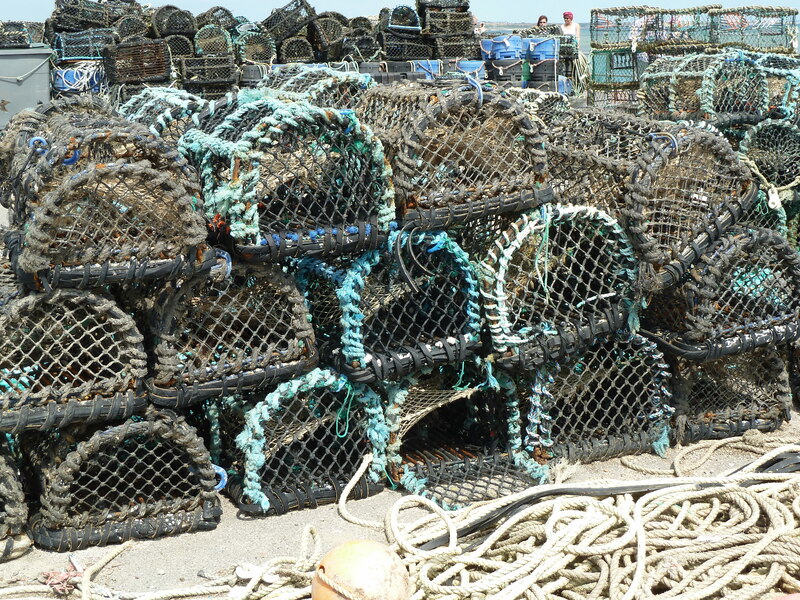 Lobster pots stacked on the Quay. Going to Woodstock. 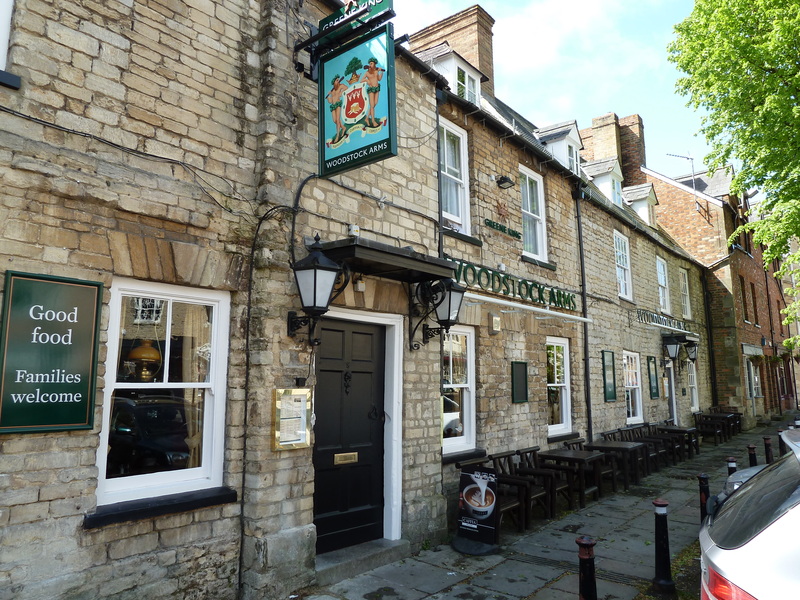 No, not the Woodstock of festival fame, but the Historic small town of Woodstock in Oxfordshire, England. There’s shop there that sells specialist paints and renovation products for older houses – Oldhouse. It’s about an hours drive away. 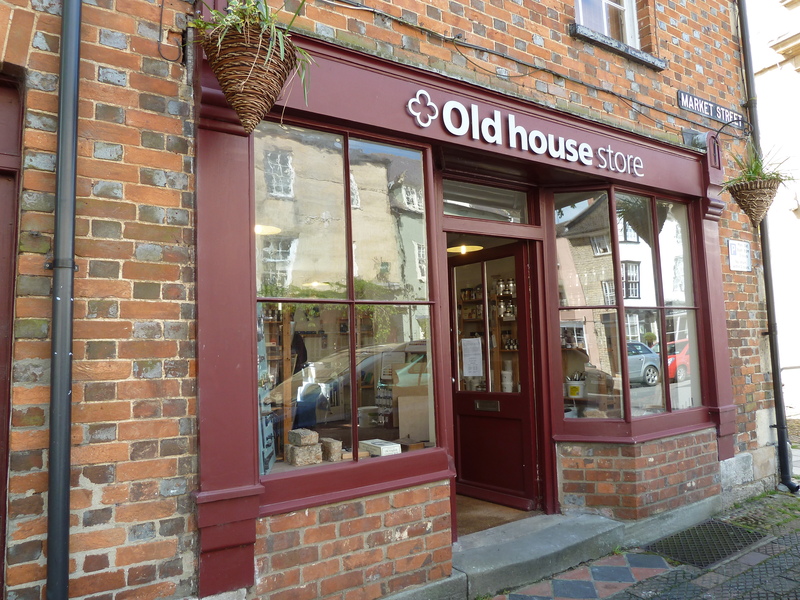 This was our second visit but haven’t had the time so far for a good look round. 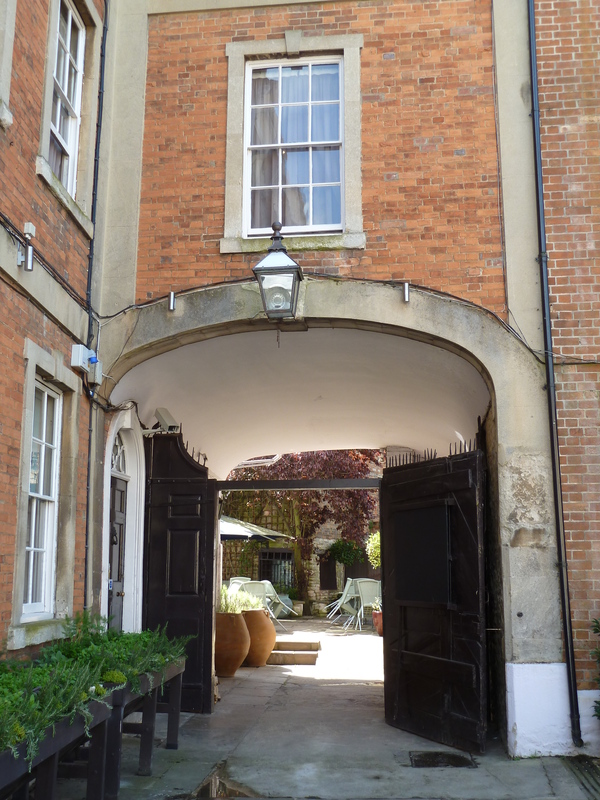 It was the first visit when I found another entrance to Blenheim Palace is actually in the town. I discovered it completely by accident looking for somewhere to park – a busy place on a Saturday morning. Just a couple of pictures. Above is a pub just down from the The Old House Store. 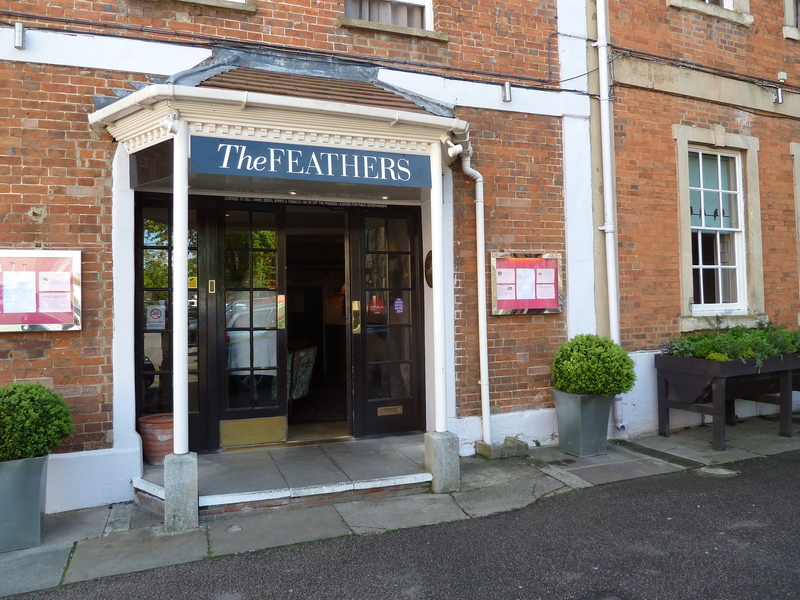 And below, judging from this entrance, is an old Coaching Inn, The Feathers. A picture looking down the street over the road from The Feathers. 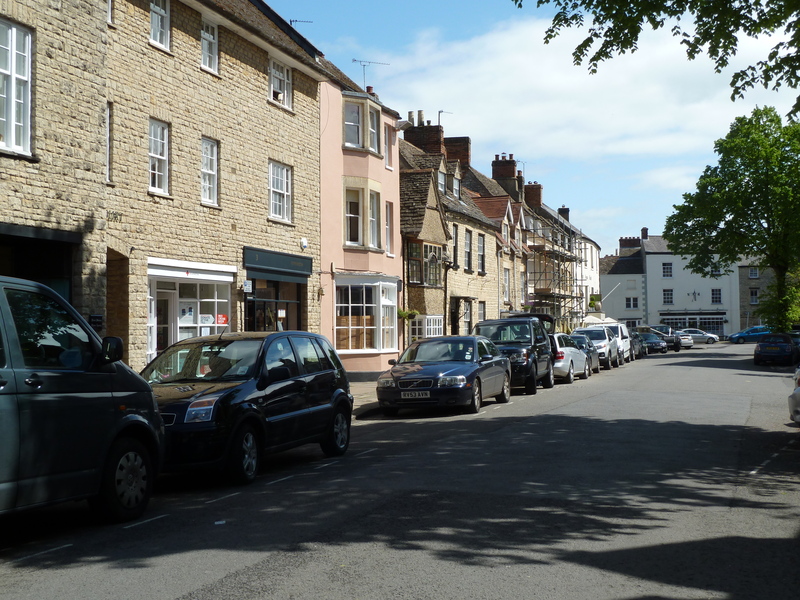 Behind me and down the street is the entrance to Blenheim Palace – picture next visit! It’s in the very distant past for most of us and way before our time. But with the many ‘celebrations’ or commemorations of the First World War this year, other more localised memorials easily pass us by. One of these memorials is to ‘The Incomparable 29th Division‘. On my way home from church yesterday morning I came upon four soldiers dressed in FFW uniform marching by the side of the road. After a double take – not a normal sight on a busy duel-carriageway – right in front of me were a number of people gathering round a monument in the centre of the approaching (large) roundabout. I’ve passed this monument hundreds of times and not given it a second thought, but as home was not too far away, I quickly collected my camera and made my way back to the scene. 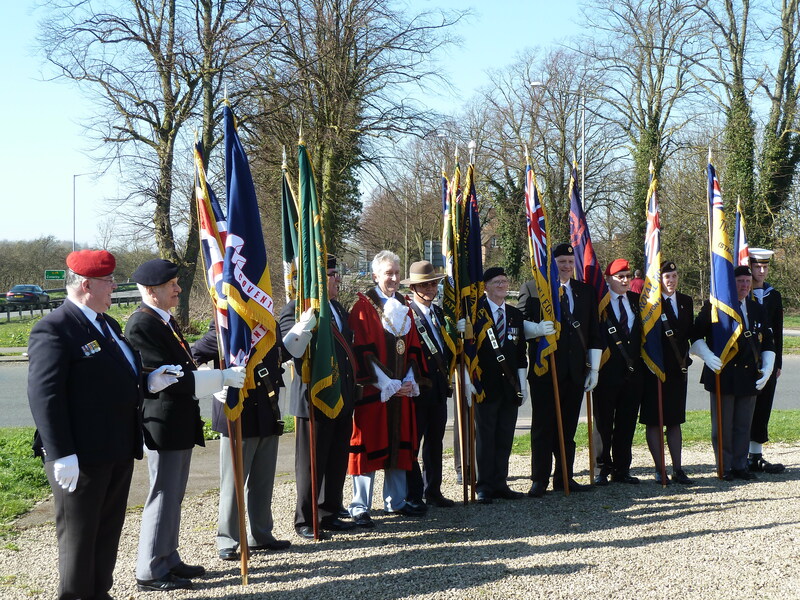 By the time I got back there were a good few more people gathered, about twenty or so in FFW uniform and a number of old soldiers from the various branches of The British Legion – complete with Banners – and a few others. I reckon about fifty or so all together. The history is King George V inspected the troops on this spot in 1915 before going off to Gallipoli where many of them met their death – and maker. Someone I think said there were 20,000 troops there. Info below says total losses for the division were 94,000. An incredible figure. A good number of people in the picture then, probably never came back. All of them young men. The tragedy of war. One of the old soldiers said to me ‘we promised to remember them and that’s what we will do’. I admire that. I’ll not pass that monument in quite the same way again. Below are a few of my pictures from yesterday. Some more historical info follows after my pictures. 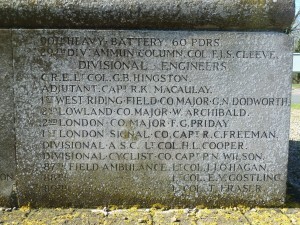 The following text about the Memorial and some of the associated history is from Waymarking.com. The 29th Division of the British Army assembled here between December 1914 and early March 1915. Many were billeted locally. The members of the Division came largely from the north of England, Ireland, Scotland and South Wales and only a few came from the Midlands. 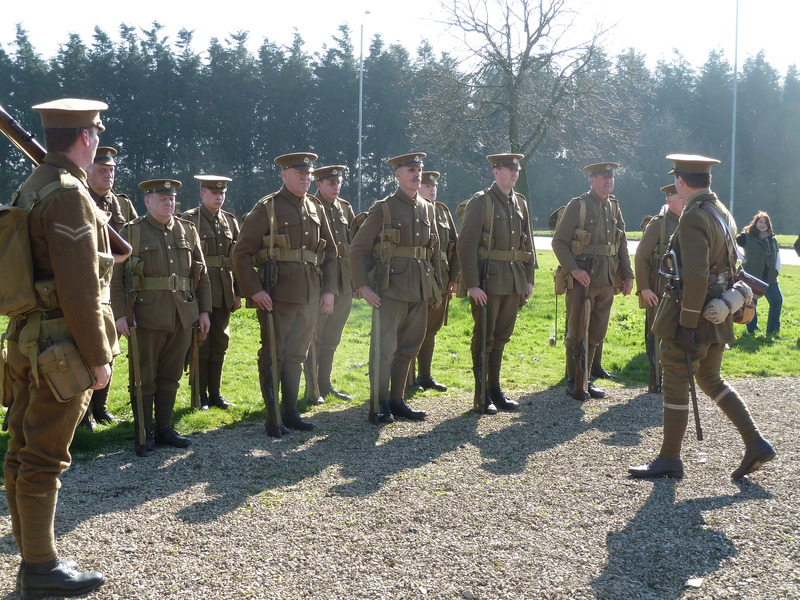 On the 12th March 1915, prior to their departure for Gallipoli, in Turkey, H.M. King George V reviewed his troops here at Knightlow Hill. The Division served at Gallipoli and on the Western Front in France and Belgium thoughout the Great War. When the Armistice brought hositilies to an end on 11th November 1918 the Division moved to the Rhine. The total casualities suffered by this single Division were 94,000. It won 27 Victoria Crosses. The Division landed at Cape Helles in Gallipoli on 25th April 1915 under heavy fire from the Turkish Army. They fought throughout the campaign until the evacuation of Suvla on the night of 19th/20th December 1915. 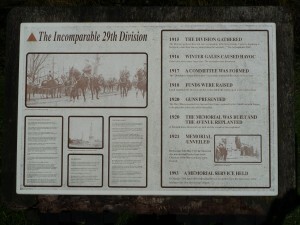 Their brave efforts earned them the name ‘The Incomparable 29th’. The Division served in France and Belgium and was involved in the first day’s fighting of the Battle of the Somme on 1st July 1916. 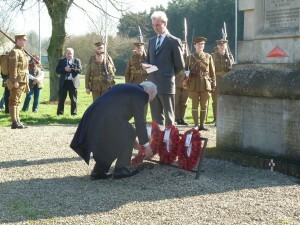 In 1917 it played its part at Arras and Ypres. In 1918 it was still in action fighting at Estaires, Messines and Hazebrouck. In the same year it helped to lead the advance to victory, capturing OutterSteene Ridge, Ploegsteert and Hill 63. It was present at the final advance in Flanders, fighting again AT Ypres. 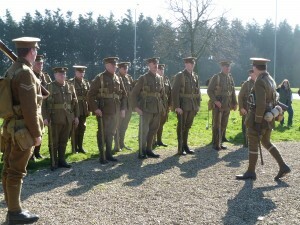 The Division was disbanded on 15th March 1919. 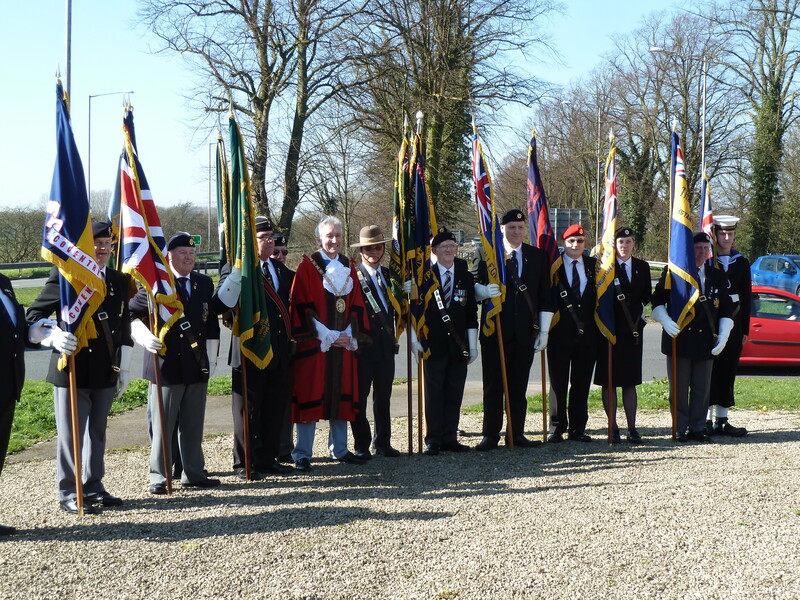 A Memorial Service to commemorate the Anniversary of the landing of the 29th Division on Gallipoli was held on 25th April 1993. 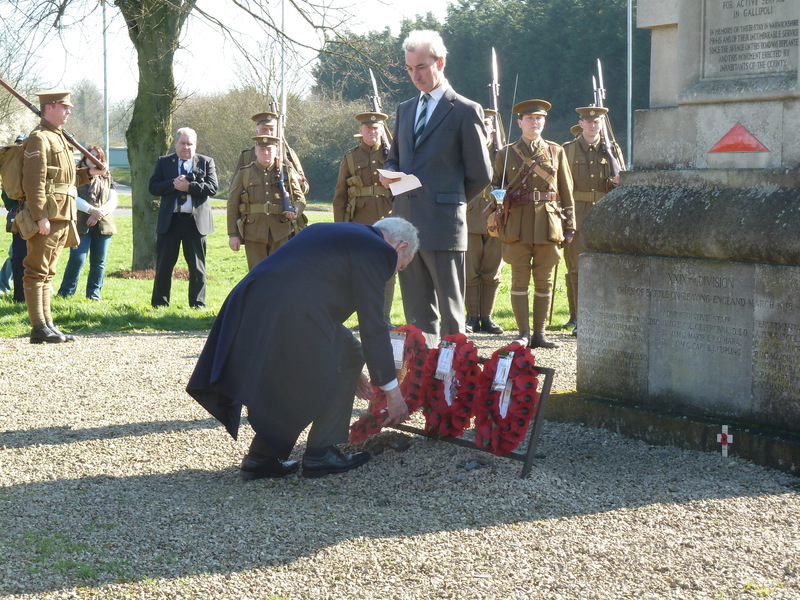 The event was initiated by James F. Pawsey, the Member of Parliament for Rugby and Kenilworth, and F.G. Watson, O.B.E., MM, the Chairman of Warwickshire County Council. 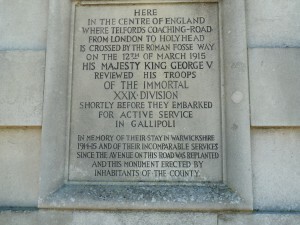 Money was raised by public subscription following a local wish to commemorate KING GEORGE V’s review of the troops and their brave action with the 29th Division. 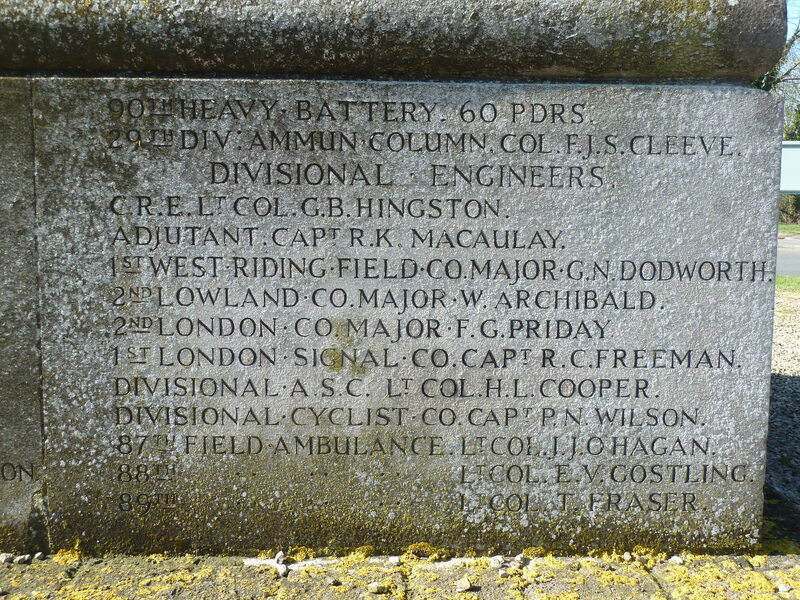 The Memorial was designed by Bridgman and Sons of Lichfield and erected late in 1920 at the cost of £646. It has an overall height of 12.3mtrs. The Memorial was unveiled by the Lord Lieutenant of Warwickshire, Lord Craven, and handed over to the Chairman of Warwickshire County Council, Lord Algernon Percy, on Tuesday, 24th May, 1921 before a crowd estimated to be over 7,000. An avenue of elms planted in the early eighteenth century extended for an unbroken length of six miles over Dunsmore Heath on either side of the London road (now the A45). Many elms were blown down during the severe gales of 1916. In the interests of safety the Duke of Buccleugh wanted to fell the remainder of the trees. So in 1917 Warwickshire County Council formed the ‘Dunchurch Avenue Committee’. 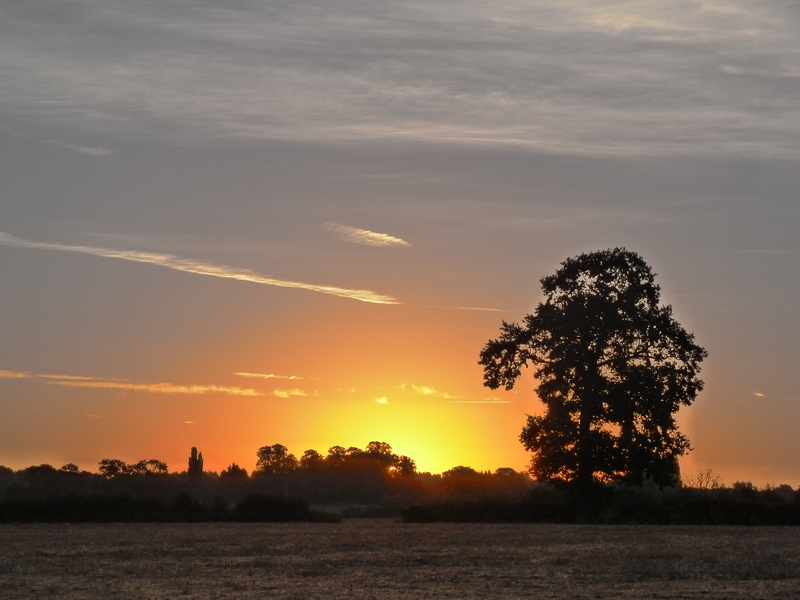 Successful negotiations with the Duke resulted in the rights for the verges and trees being conveyed to the County Council, who undertook to replant the avenue. 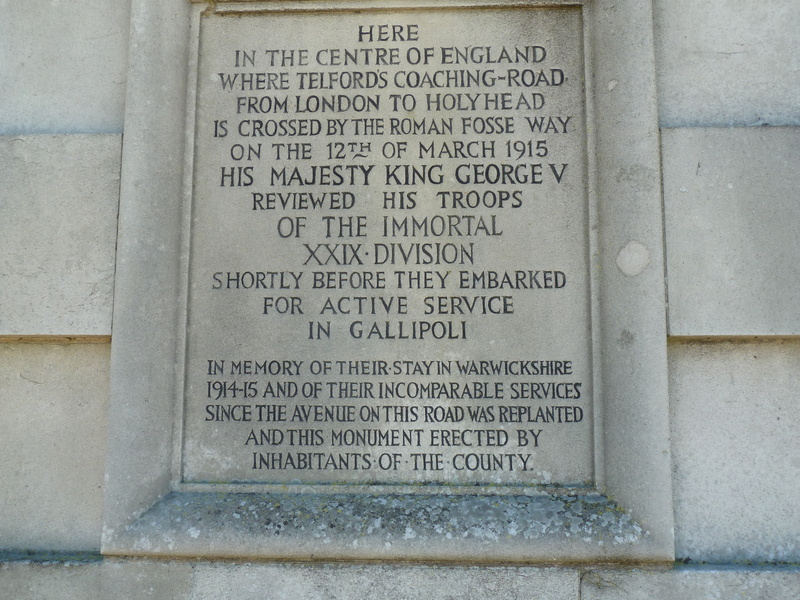 There was also a strong local wish to commemorate in some way the King’s review of the troops and the Division’s brave efforts during the war. 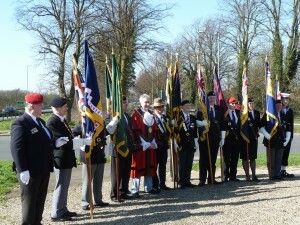 The committee invited subscriptions for a Memorial Monument to the 29th Division and the replanting of the avenue. The Duke of Buccleugh donated £720 to the fund and the freehold of the land for the Memorial. 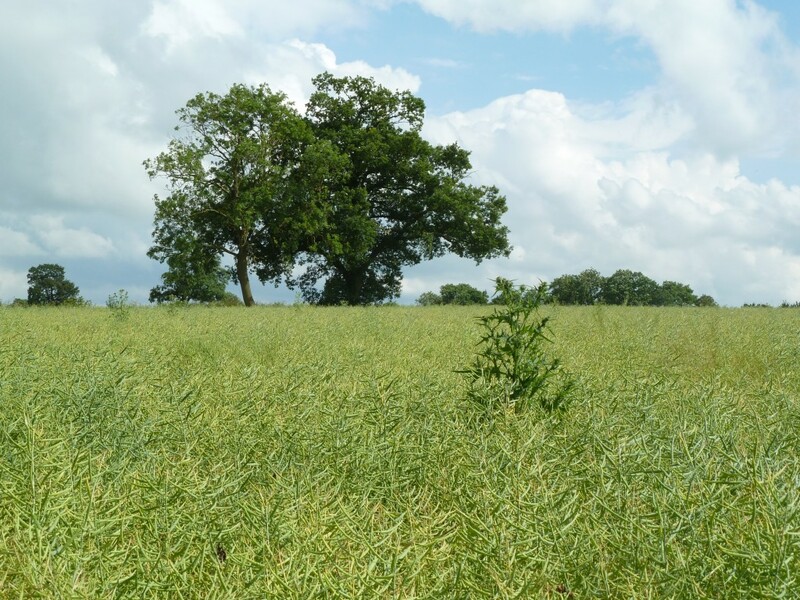 During the autumn and winter of 1920/21 two miles of lime trees at the Coventry end of the Avenue and elms and beeches at the London end were planted by Messrs. Dicksons of Chester: 444 trees at a cost of £664 2s 0d. In 1953 Kew Gardens were consulted about disease in the elms. In October that year the Committee agreed to replace the dying elms with limes (Tilia x euchlora). A second carriageway was added in the late 1950s and some of the trees felled. The Ministry of Transport’s replanting was agreed with the Committee. The Dunchurch Avenue Committee DAC met for the last time in 1973. The trees were inspected and 70 new limes were planted on the east side of the Memorial. In 1985 some trees were felled to accommodate a roundabout. 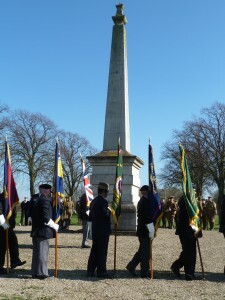 The Memorial stands on the roundabout nearby. It’s Remembrance Day today. 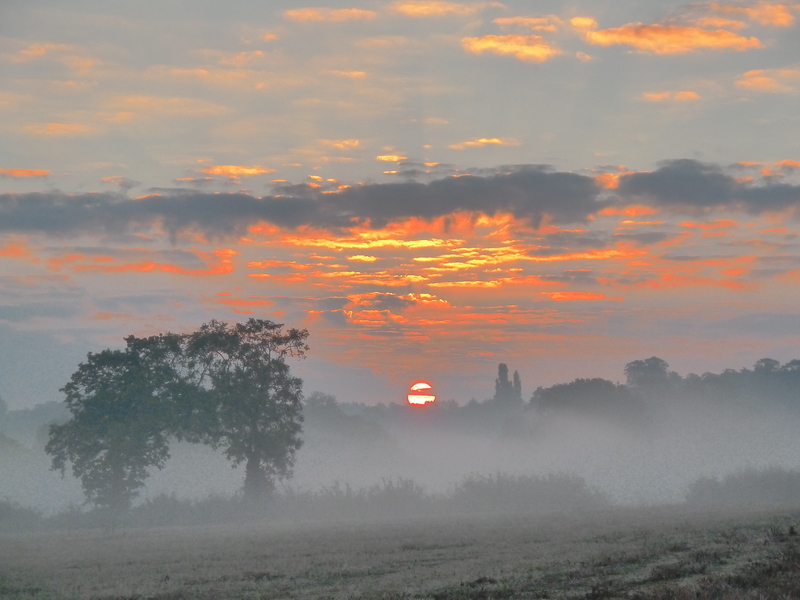 The Eleventh Hour, of the Eleventh Day of the Eleventh Month. What were (and are) these people fighting for? We are told with serious countenance and hushed tones that they (and subsequently) were fighting for Freedom. My Dad died in his Eighties trusting in The Lord Jesus Christ as his Saviour. He (with my Mum) became a Christian much later in life. I can remember as a youngster sometimes hearing him moan in his sleep as he relived the horror of war. From a historical perspective he didn’t talk too much about the war and I now wish that I’d ‘interviewed’ him about his experience. He managed to write a few pages though (I could post his words in a later post) At just 17, he was a dispatch rider in the Reconnaissance Corps – always at the front! Over the years he had many invitations to various ‘old soldier’ meetings and could have gone over to Europe to re-visit some of the sites of the conflict. He turned them all down because the memories were so bad. It was only a few years before he died that he even went to the Remembrance Sunday parade though he always watched the Remembrance Day service on TV. Watching him march with the old soldiers did make me proud of him. The picture is of him at an 11, 11, 11 meeting. 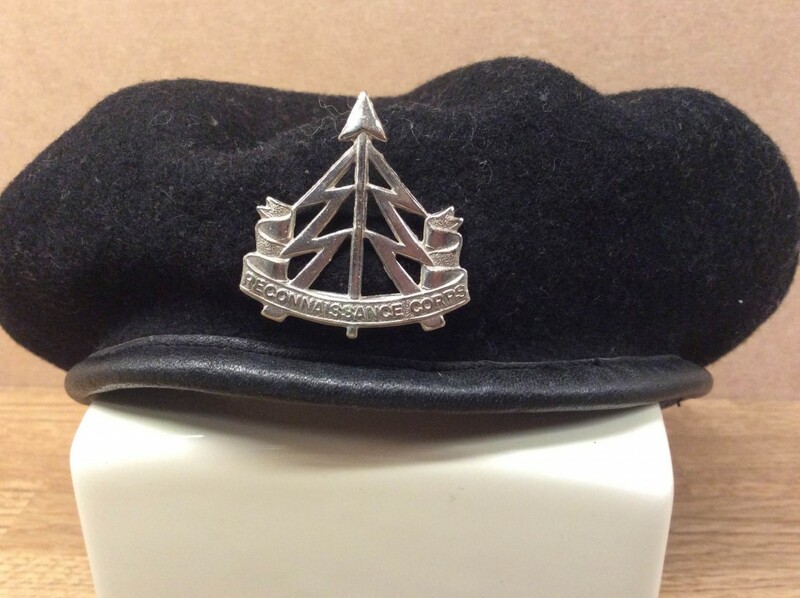 He said they gave out medals like sweets and it was only at the encouragement of a serving Christian soldier in the Church that he got them out of the drawer and had them mounted. 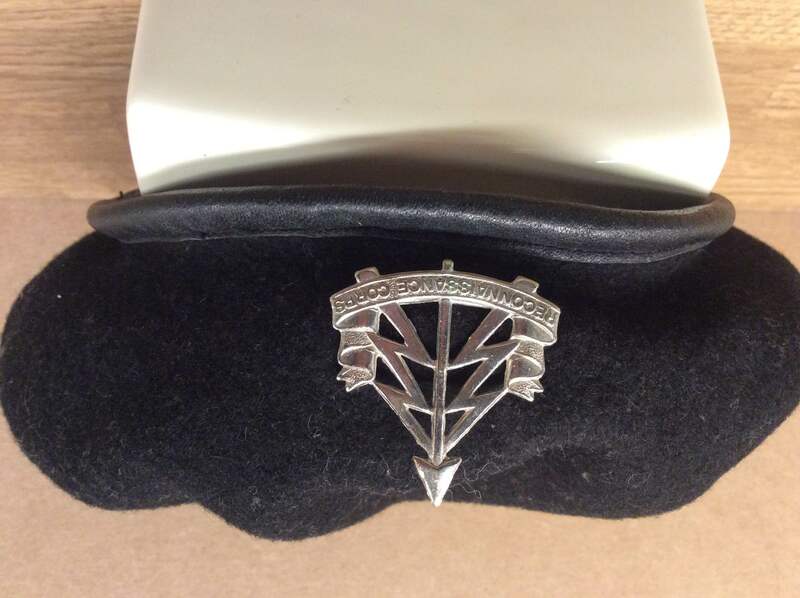 This same soldier (Ian Fraser – now retired) also encouraged Dad to attend the Remembrance Sunday service. What is the point of saying all this? I know my Dad would be appalled at the steady but relentless loss of Religious Liberty we are experiencing in this country (and the US) and that he thought he was fighting for. And so on the news we see Prime Minister Cameron and cronies ‘Remembering’ the fight for freedom while all the while steadily taking it away. It appalls and sickens me but we must trust in our God & Saviour. As Christians we must speak out while we can. The night is coming. The world hates Christ, hates The Gospel and hates the Word of God. 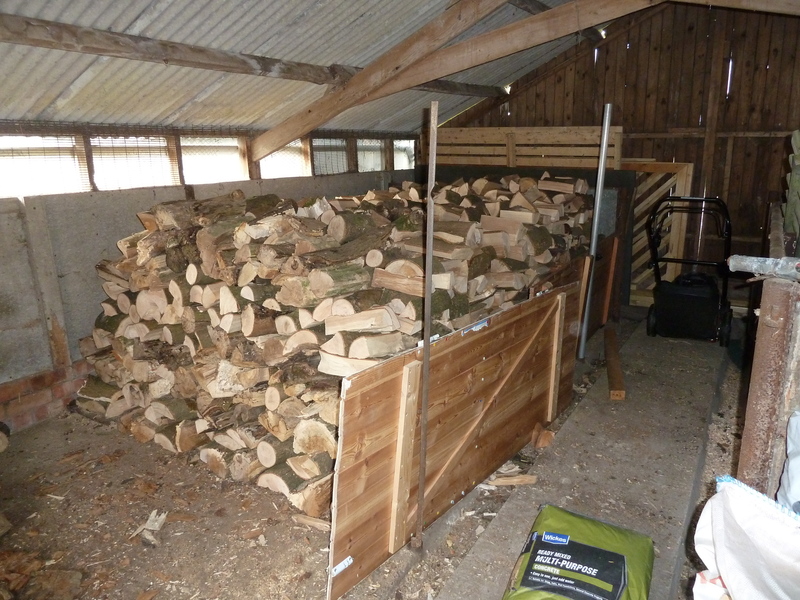 Bought a trailer load of wood from the farmer. it’s now either chopped or stacked for drying. Couldn’t have done it without my two boys. They worked really hard to get it all cut. BTW, When they started cutting for real they did wear the right gear. They had just been out and bought two new Stihl chainsaws from Tudor Environmental – nice! Dude, that’s a lot of wood! Mostly Ash, Cut, chopped and ready to go! Beech I think – cut and stacked for seasoning / drying. The rhyme / text below is Pasted from Stoves Online. From the same site there’s a link to the different woods and their burning qualities – wood as fuel chart.